Sam’s snowboarding adventures are chronicled here. 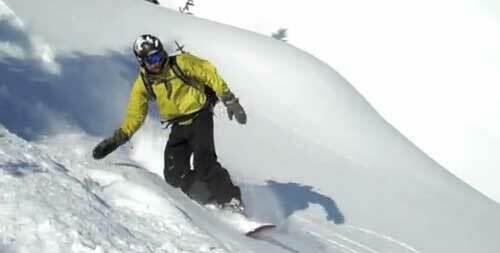 The pic above is a screen grab from a video he shot in the Grand Tetons in February 2010. Here’s a look at his gear list. Here’s pic-rich narrative of one his outings. ← Uh, did we learn nothing from Grizzly Man? Thanks for the mention, Tom!